Kalmar, part of Cargotec, has signed a contract to supply a fully electric Kalmar Ottawa T2e electric terminal tractor to Long Beach Container Terminal (LBCT) for a six-month demonstration period. The order was booked in Cargotec's 2018 third-quarter order intake with delivery scheduled for Q1 of 2019. The Port of Long Beach, California, is the second-busiest container seaport in the U.S. and handles trade worth in excess of USD 180 billion from 175 shipping lines annually. More than 7.5 million container units passed through the port in 2017. LBCT already relies on a wide variety of Kalmar equipment to handle container traffic, including Kalmar rubber-tired gantry cranes and Kalmar Ottawa terminal tractors. U.S. port operators are increasingly demanding more environmentally friendly machines, and Californian ports have taken the lead in this respect by setting a target of having fully electric fleets by 2030. Kalmar has been working with port authorities to improve air quality in the Long Beach area for more than a decade and the new Kalmar Ottawa T2E Electric Terminal Tractor will play a key role in a much larger Port of Long Beach Freight Electrification Project - the nation's largest project for zero-emissions cranes and other seaport cargo handling equipment. One part of that electrification project, which includes technology manufacturer partner Kalmar, is an off-road demonstration project funded by a $5.3 million grant awarded to the Port of Long Beach. 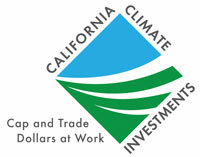 That project is part of California Climate Investments, a statewide program that puts billions of Cap-and-Trade dollars to work reducing greenhouse gas emissions, strengthening the economy, and improving public health and the environment - particularly in disadvantaged communities. The Kalmar Ottawa T2E Electric Terminal Tractor is designed for trailer handling operations in dispersed warehouses, container terminals and other applications where short distance road travel is required. It features Kalmar's latest lithium-ion battery technology and a fully electric powertrain that produces zero emissions at source. The onboard inverter charger allows the vehicle to be 'opportunity charged' during working breaks; a battery monitoring system displays charge status and indicates when a recharge is required. Compared to a diesel-powered tractor, the Kalmar Ottawa T2e generates less noise, vibrations and heat, and - most importantly - no fumes. Kevin Hayes, Senior Vice President, LBCT: "We have relied on Kalmar Ottawa terminal tractors as well as other Kalmar equipment for many years, so they were the natural choice when it came to seeking out a solution that would help us comply with the new legislation. The Kalmar Ottawa T2e will play a key role in helping us to achieve our business goals and maintain our position as a front-runner in terms of eco-efficiency." Gina Lopez, Vice President, Terminal Tractors, Kalmar: "The target to achieve fully electric fleets at California ports by 2030 is driving our customers in the region to seek alternatives to diesel-powered machines. At Kalmar, we have decades of experience in delivering reliable, cost-efficient terminal tractors, and we have been developing electrically powered machine technology since the 1980s. The Kalmar Ottawa T2e will benefit our customers' bottom line and improve their productivity while enhancing their sustainability credentials at the same time. It is also a significant milestone in our journey towards producing an electric version of every product in our portfolio by 2021."